Sundials are a popular garden ornament. Pierre S. du Pont placed one in his Longwood Garden. Michigan State University’s 4-H Children’s Garden asks children to stand at the center of their sundial and use the shadow of their raised hands to see the time. 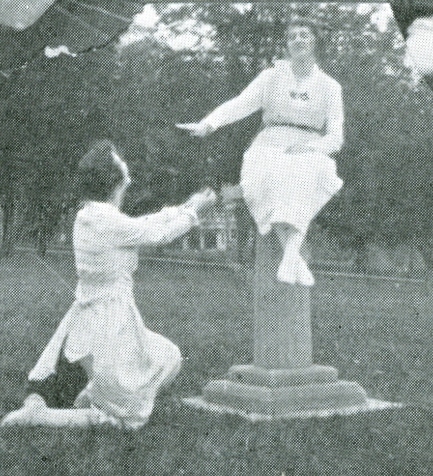 The class of 1895 placed a sundial on Parrish Lawn in 1905 in memory of their classmate, Howard White Jr. (1875-1903) here at the Scott Arboretum. Sundials make a great conversation piece and often an attractive focal point in the garden. As you can see from the images, the students at Swarthmore College have historically loved the photo opportunity the sundial provided. 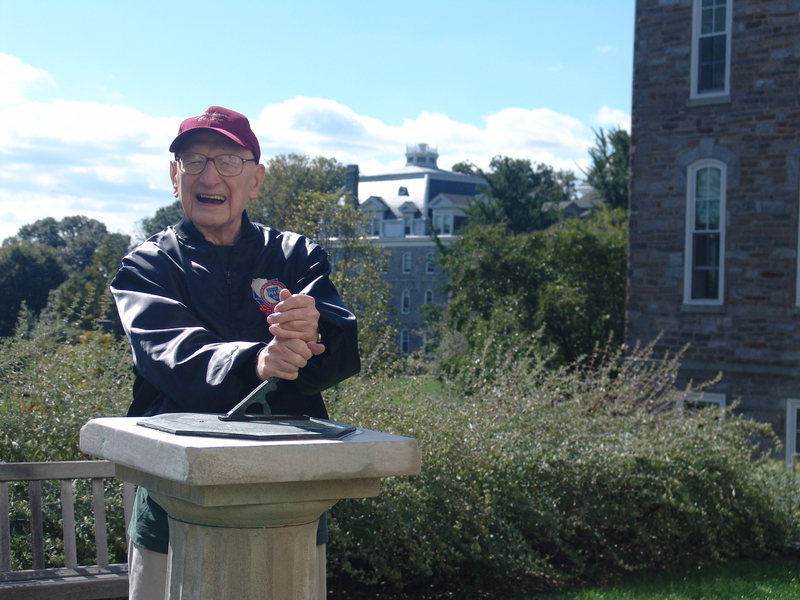 Bob Thompson, known as the Cookie Messenger on campus and a daily Arboretum Assistant at the Scott Arboretum, was one of the many Swarthmore College students who had his photo taken with his buddies at the sundial. 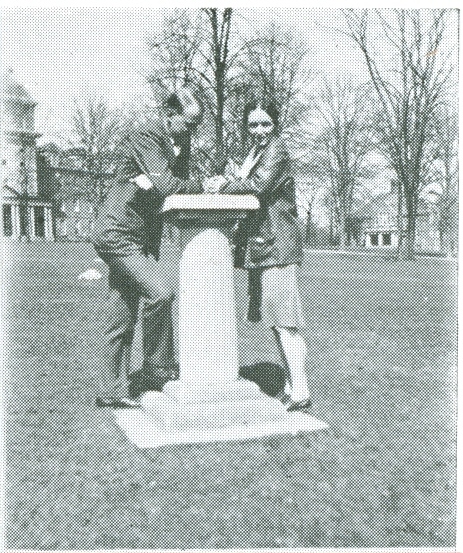 Last year, Thompson undertook a research project to investigate this sundial which had stood on Parrish Lawn for decades. He discovered that Howard White Jr.’s sundial was removed because of pathway reconfiguration in 2006 and was being stored under the bleachers alongside Skallerup Track. In honor of Thompson’s 92nd birthday, the Arboretum returned the sundial to the grounds of campus for the next generation of students to enjoy. Selecting the best location in your garden to create an attractive point of interest with a sundial is a design consideration. The style of your sundial dictates the type of garden setting it should be placed. 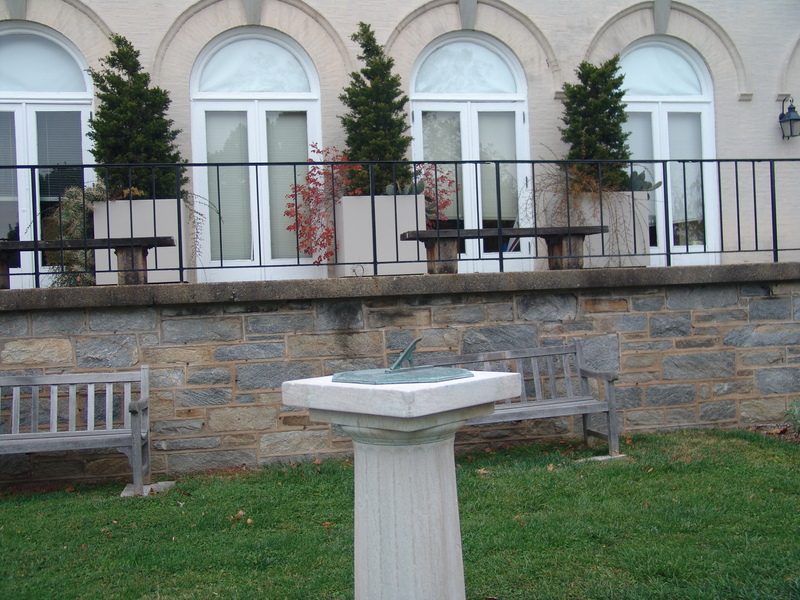 The sundial given to the College by the class of 1895 has a formal appearance with its stone pedestal. 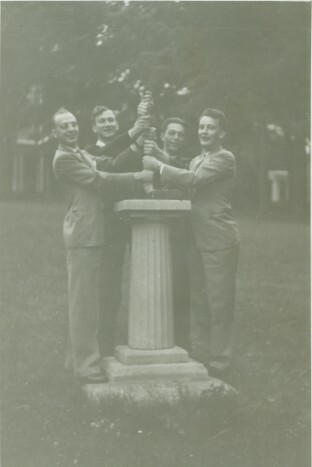 Because of this formality, the Collections Committee of the Scott Arboretum chose the location in front of Pearson Hall. This area has perfect symmetry with four permanent containers on the upper level and two rectangular garden beds on the lower level where the sundial was placed. Another important consideration is the fact that this area receives sun all day. Placing the linear sundial in this location simply fit within the formal design of this part of the building landscape. When selecting the ideal spot for your sundial, consider how the style of the sundial will dictate the garden design and, of course, consider the sun exposure. The second sundial found on campus appears on the side of the Kohlberg Hall alongside the Cosby Courtyard. 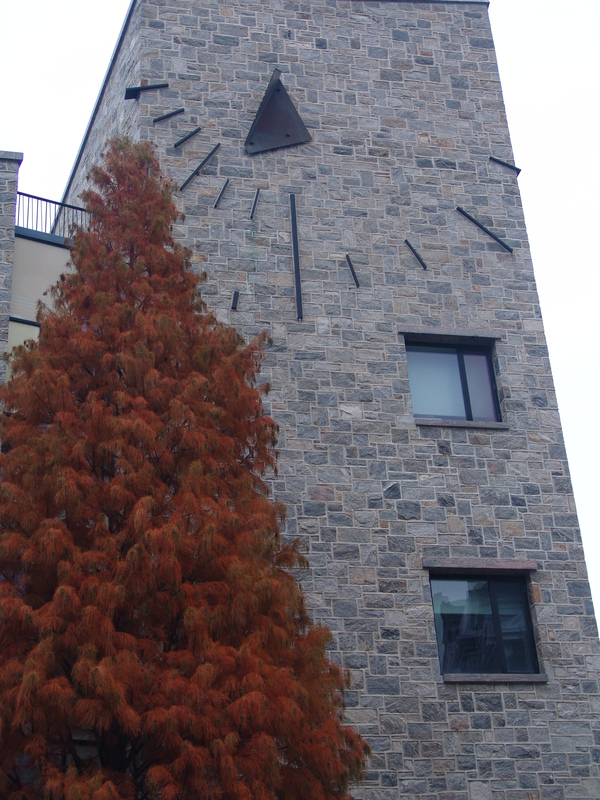 This large sundial mounted on the building is a dramatic piece accented by a Taxodium ascendens. Visit the class of 1895’s sundial outside of Pearson Hall and the large sundial on the wall of Kohlberg Hall to experience how a sundial adds to a garden. Great to see Bob again. We agree, Chris. He was such a part of the Scott Arboretum for so long. He is missed.